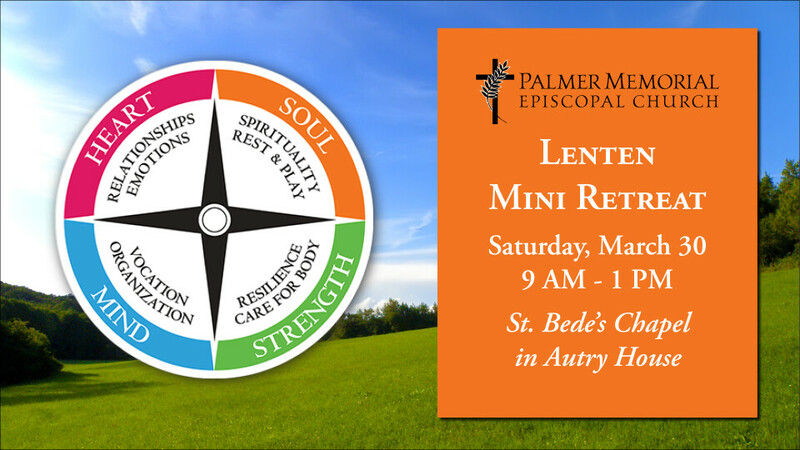 Come join us in the midway through Lent on Saturday, March 30 from 9 AM - 1 PM in St. Bede’s Chapel. Lunch is included. It will be led by John Wallace and the Rev. Liz Parker. We will use the Living Well Through Lent 2019 booklet (freely available at Palmer; online as a pdf) and the theme is Forgiveness. Please RSVP to John, , if you are attending or may attend.